This is a product-provided, sponsored conversation. I received a box of Proxeed plus for my own personal use. All opinions, text and experiences are my own. 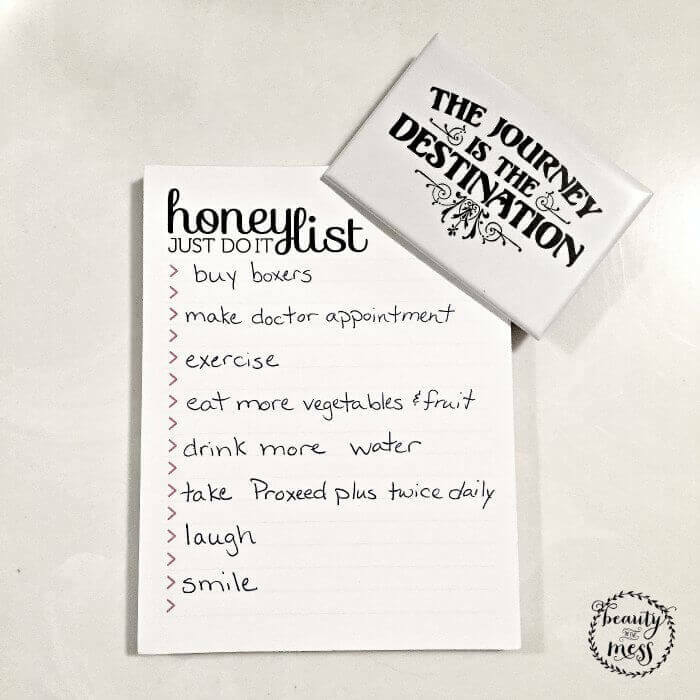 Have you ever created a Honey-Do List? I’m guessing if you have it probably included things like: change out the faucet in the bathroom, unclog the sink drain, paint the laundry room, patch the holes in the Living Room and Boy’s Room, touch up the paint, etc. 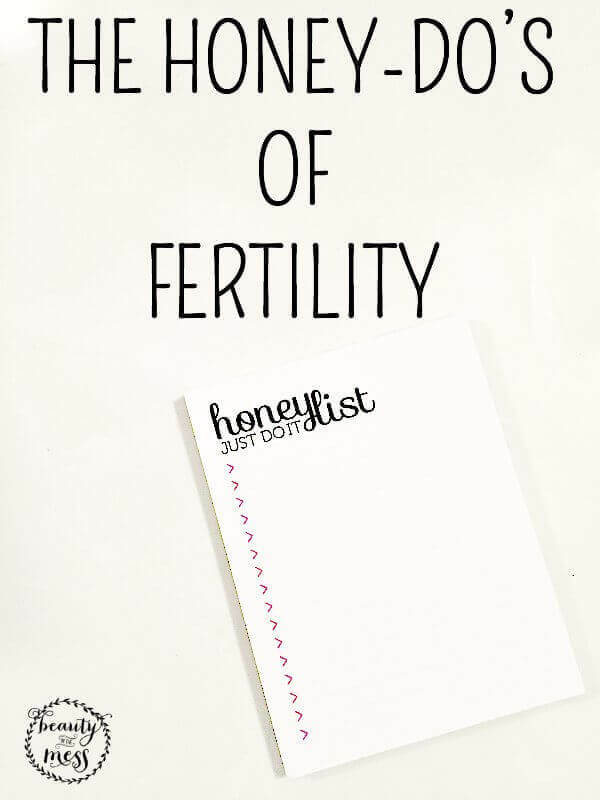 But have you ever thought about a Honey-Do List for Fertility? The journey to becoming a parent is full of excitement and anticipation, but it also requires a little preparation and diligence from the male partner, not just the female. Infertility was one of the hardest things that we went through as both a couple and as individuals. But what threatens to tear you apart, makes you stronger. Regardless of whether you are struggling with infertility or not, it’s important to know how to prepare for conception. As a newly-wed, it never crossed my mind. I just thought it happened for everyone. But then reality set it and we realized we couldn’t get pregnant. Most of the time when people talk about infertility, it’s all about the female. She has PCOS. She has crazy hormone levels that need to be regulated. She has celiac disease and that is causing her to not get pregnant. It’s all her fault. As a woman who has walked that infertility journey, it’s hard to not feel broken when there are no answers. But it’s not always a female issue. Males can help do their part and prepare their bodies too. Isn’t it about time someone mentioned the guys?! It does take their sperm to get pregnant. In up to nearly 50% of couples who are experiencing infertility, it is because of the male. Did you know that sperm health and quality begins to decline around the age of 25? And yet so many couples are waiting until their 30’s to get married. Of course it’s not all age. Smoking, drinking, drugs, stress, poor nutrition, and lack of exercise can all contribute to poor sperm quality. While there are some things we have no control over when it comes to our fertility, we have complete control over our nutrition, movement, and what we put into our bodies. Sometimes we can do everything “right” and we still can’t get pregnant. But that doesn’t mean we should give up and live an unhealthy lifestyle. You never know when it might happen. There are so many things males can do to get their bodies in prime baby making shape. What are those things? I’m so glad you asked! retire the tighty whities for boxers. Boxers increase movement and allow better airflow, which in turn keeps the guys cooler. make a doctor appointment for their yearly physical. Why do guys hate doing this so much? exercise regularly. Walk around the neighborhood, join the gym, just get moving. eat more fruits and vegetables. Less processed foods and more real food. ditch the plastic and invest in glass. don’t forget to have fun. Laugh with each other. Smile at each other. This is SO important. take Proxeed plus twice a day. What in the world is Proxeed plus? Let me tell you!! 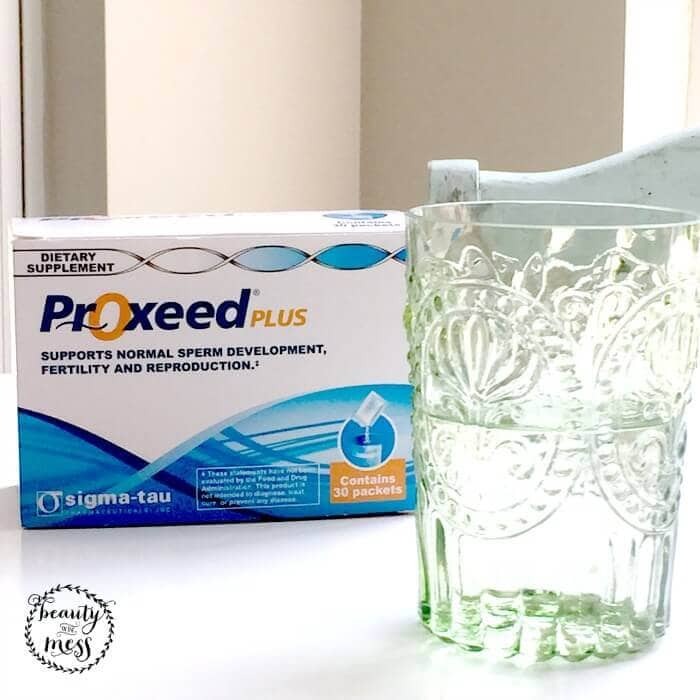 Proxeed plus is a simple way to support male reproductive health and sperm quality by providing the nutrients needed for developing sperm. It is so easy!! Proxeed plus prenatal male fertility supplement is a powder that comes in individual packets. Mix it easily into water, juice, fruit smoothies, shakes or other cold beverages. Plus it has a pleasant fruit flavor that isn’t overpowering. My husband didn’t think it was too bad in water. He said it is far better in a smoothie and juice though. Sometimes it’s not always possible to have a balance of carnitines, which are important for multiple sperm functions, including morphology, motility, concentration, count and linear projection. Proxeed plus gives the balance of L-carnitine and acetyl L-carnitine in a sufficient quantity of 3 grams a day. You can purchase Proxeed plus online. Use coupon code SPERM at checkout for $10 off your next purchase. Proxeed plus has a series on YouTube that is informational. There is even an animated sperm. Proxeed plus is a complete carnitine-based formula for male fertility that targets multiple sperm functions, including morphology, motility, concentration, count and linear projection. For more information, visit www.proxeedplus.com.